Learn how to memorize the Quran online because the Holy Quran is the divine miracle of God bestowed on the Prophet Muhammad, peace be upon him. It is a gift for humanity that is suitable for all times and places. Memorizing the Quran is a precious gift that God chooses to give to his sincere and true believers. Our memorization classes of the Quran provide an easy and enjoyable way to learn and memorize the sacred verses of the Quran. Learning to memorize the Quran can be very difficult, but our best online Quran tutors will offer a great way to help you along the way. Our customized online teaching courses of the Quran will be the best way to help you earn rewards or gifts from God given to those who learn and understand his sacred guidance verses. You will learn to read the Quran online to better understand and memorize the verses. This will make your memorization task much easier no matter what your level is that we offer to teach Quran recitation to complete beginners in order to help them memorize and understand the sacred verses perfectly. Memorizing the Qur’an requires a pure heart and a strong will. Our best online tutors will teach you how to memorize the Quran faster and will set achievable goals so that you do not feel overwhelmed or exhausted in the process. This is a long-term goal that you are more likely to achieve with our qualified tutors of the Quran and the sincere desire to be a true soldier of God. You will be able to set a memorization schedule to best suit your needs. Erase your heart and mind and have a “sincere intention” to memorize the holy book of Allah and it will help and guide you. Your selection of time, date and duration. 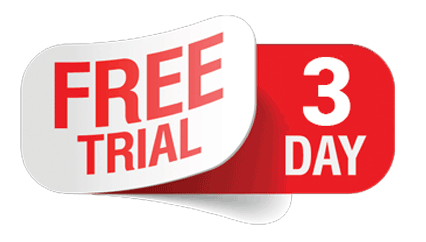 Therefore, if you want to take a chance to learn the Quran with us, then you can register for our free 3-day trial! I spent fifteen years of my life teaching Arabic and reciting the Qur’an. I have become able to teach basic and advanced Arabic to the learner in the easiest way and with advanced techniques. Students would be encouraged and facilitated in learning the language of the Koran and Jannah. I promote natural methods of language learning, that is, listening and communicating. My Arabic accent is like the native Arabs because I was taught by an authentic and experienced teachers. It is my greatest honor to teach the Holy Quran. I am an Arabic speaker and fluent in English from Egypt. InshaaAllah I will help you memorize the Qur’an and improve the recitation. Being a Quran teacher for children and non-Arabic speakers makes learning easy and easy for students. I teach the Quran for free and I like to teach others. I hope you have all the best in learning the Quran. I studied at the Faculty of Islamic and Arab Studies at Al-Azhar University and graduated in 2009. I am very good at learning the Koran, improving it and teaching Arabic to non-native speakers. We are happy to teach others. I am a teacher of Arabic language and Koran, I studied Arabic at the Faculty of Sciences of Cairo University and studied the recitation of Tajweed and the memorization of the Koran by the high sheikhs of Al-Azhar since 1999 . I teach the Quran to children and adults and I was hired in the Koran Institute, graduated with honors, with the grace of God, I acquired the skill of how to deal with students. And I teach the Arabic language and the Koran to Arabs and rules for non-Arabs, for over twelve years and I also learned to treat them, I have a degree in Hafs. My goal is to teach the language of the Quran and the Quran to all human beings. I have a vision that the Qur’an is taught to all people in the simplest and most scientific method. Assalam alaikum I am Asmaa Salah from Cairo – Egypt, graduated from the Faculty of Arts, Department of English (2004-2008). I studied the translation diploma at the AUC, as well as the ICDL of the Russian council. I have experience working with Trent International Company – UK, in the field of translation. Teaching Arabic to non-Arabs was a very useful and comprehensive course in which I studied all the applied language sciences that influenced my knowledge. Now, I have the ability to understand, speak and write Arabic in a very friendly and pleasant spirit. Being in the Qur’an learning and teaching for over 25 years and when I discovered online teaching, I decided to be in touch with you. As I know both French and English and have a lot of experience in teaching, I can communicate with any student. There are many students who recite the Holy Qur’an with me and some of them take the Sanad (Hafs of Asem). I take it from Sheikh Mostafa Ali Albanna, the youngest brother of the great reciter Sheikh Mahmoud Ali Albanna. As a high school teacher, I helped build the student characters and many of them are in smart positions. I am patient with students and I have the ability to make them love what they learn or study in addition to the qualifications of education. I hope Allah makes us those who work with the Qur’an ayat. Un tuteur privé pour l’arabe, l’arabe moderne, l’arabe, l’arabe conversationnel, les règles de Tajweed. Assalamu Alaikum. Je m’appelle Abdu Allah Fouad . Je suis un professeur d’arabe professionnel, expérimenté et créatif pour les non-natifs d’Egypte. Je suis diplômé de la faculté de Dar Al Uloom Département des études arabes et des sciences islamiques du Caire 2002. J’ai terminé mon baccalauréat à la Faculté d’éducation publique de l’Université Zagazig en 2003. Ensuite, j’ai terminé mon baccalauréat à l’Institut supérieur de l’Islam. Études en 2010. Maintenant, je fais ma maîtrise en linguistique arabe et l’enseignement de l’arabe au département de critique et de rhétorique à l’Institut supérieur des études islamiques. Tout cela m’a permis d’enseigner l’arabe aux locuteurs non natifs. J’ai 15 ans d’expérience professionnelle en arabe, études islamiques, arabe standard moderne, langue parlée égyptienne, arabe médiatique, grammaire et littérature dans les centres, dans les écoles, dans les instituts et en ligne (pour les non-natifs). J’ai déjà beaucoup d’étudiants autour du monde donc je connais beaucoup de cultures et je partagerai la culture arabe avec vous. J’utilise beaucoup de livres pour répondre aux besoins d’apprentissage de mes élèves. Je vous offre l’opportunité de parler et de comprendre la langue et de comprendre comment utiliser la langue. Je me concentre sur la communication et la parole. J’enseigne la grammaire à travers les dialogues, les conversations. Je vais vous fournir des feuilles de travail, des fichiers audio et vidéo, des documents pdf et Word, et des documents Powerpoint. J’utilise Google Docs pour partager et travailler sur des documents. Mes leçons sont amusantes, interactives et amusantes! Je serais heureux de vous aider avec la maîtrise courante en arabe. S’il vous plaît contactez-moi alors à la chose à la course avec un prix inférieur. Assalm Alikum my name is Amr Ahmed and I live in Egypt. I got a certificate from Al Azhar University in Cairo, Egypt, Sharia Law School and Law School in 2010 year. I studied most Islamic sciences in five years. After that, I worked as a Quran teacher and Tajweed for non-Arabic speakers. and the Tajweed rules step by step, you will recite as Prophet Muhammad (PBUH). I am a professional and experienced Arabic teacher for non-native speakers, Do you want to learn standard Arabic or familiar Arabic or Media? Do you want to learn the Qur’an and the provisions of the recitation? Do you want to learn the Hadith and his sciences? Do you want to be able to communicate with Arabic speakers? If so, you have just met the right guardian. I finished my studies until my pre-master’s degree in 2007, then I obtained a Master’s degree in Ha-death and his sciences in 2010. I am currently a PhD, which allows me to teach at all levels and I have experience working in teaching Arabic, Arabic and Islamic studies in the centers, as well as teaching the Quran and Ha-mort and its sciences. I offer sessions and courses that allow you to speak and understand Arabic easily by focusing on all four language skills and using effective materials.